Alessandro Rolla was an Italian violinist, violist, composer, conductor, and teacher, born on April 22, 1757. Although he was a very successful virtuoso of his time, he is most famous for being one of Paganini’s teachers. Unfortunately, he lived during a time when many great musical luminaries roamed the earth – Haydn, Mozart, Beethoven, Schubert, Rossini, Chopin, Schumann, Mendelssohn, Liszt, and Berlioz, to name the better-known among them. For example, after Mozart died in 1791, Rolla lived an additional 50 years and was witness to Mozart’s eventual universal success. His life also encompassed Beethoven’s and Schubert’s entire lifetimes. As a violinist, he was eclipsed by the likes of Paganini, Giovanni Viotti, Louis Spohr, Karol Lipinski, Rodolphe Kreutzer, Heinrich Ernst, and Pierre Rode. Some of his compositions (about 600 in all according to one source) attest to the fact that many techniques which Paganini routinely used later on – including left-hand pizzicato, extremely high hand positions on the fingerboard, octaves, and double stopping - were first put forward by Rolla. 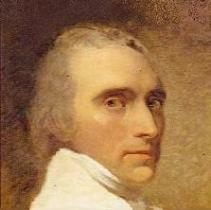 After his early studies, he moved to Milan where he studied from 1770 to 1778. At his first public performance, he played a viola concerto of his own composition, said to be the first viola concerto ever heard. That was in 1772 - he was 15 years old. However, he did not write the first viola concerto – the first viola concerto was, in all likelihood, written by George Telemann. In 1782, he was made leader of the Ducal Orchestra in Parma, Italy, playing violin and viola. He was 25 years old. He first met Paganini in 1795. Paganini was then 13 years old. How much time Paganini actually spent studying with Rolla is anyone’s guess. It could have been one lesson or several or many. During those years in Parma, Rolla traveled widely, published many of his works in Paris and Vienna, and conducted far and wide. He was at Parma until 1802. He then moved to Milan, where he was concertmaster and conductor of the opera orchestra at La Scala. It has been said that none other than Louis Spohr praised this orchestra highly. In 1808, the year of its inauguration, Rolla was made violin and viola professor of the Milan Conservatory, having been invited by Bonifazio Asioli, its first Director. In 1811, Rolla was also director of the Cultural Society in Milan. He was associated with La Scala until 1833 – thirty one years. Upon leaving, Rolla was 76 years old. At La Scala, he had conducted many of the operas of Mozart, Rossini, Donizetti, and Bellini, among others. He had also conducted Beethoven’s early symphonies as part of his activities with the Cultural Society. He was among the first contributors to the music catalog of the famous Italian publisher, Ricordi. These works included violin etudes in all keys. His fame spread far and wide via publication of his works in Leipzig, Paris, Vienna, London, and Milan. For the viola, he wrote no fewer than a dozen concertos, as well as duos for viola in combination with an assortment of other instruments. He also wrote many violin concertos. One of the more recent champions of Rolla's music was Emanuel Vardi. Some, but certainly not many, of Rolla's works have been recorded and some of his music is still in print. You can listen to tiny bits of some very charming works by Rolla here. One of several YouTube postings can be found here and an extensive list of his works is available at this website. Rolla died on September 15, 1841, at age 84. Though very highly regarded and almost surely well-compensated during his lifetime, he became neglected in more modern times. Before someone rescued their music from oblivion, the same fate befell Bach, Vivaldi, and Zelenka. Perhaps things will change for Rolla, though that is unlikely.